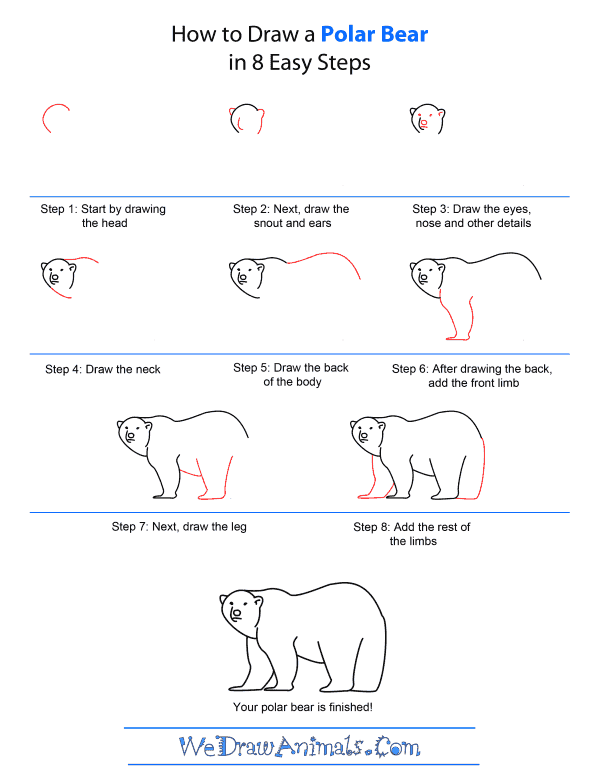 In this quick tutorial you'll learn how to draw a Polar Bear in 8 easy steps - great for kids and novice artists. The images above represents how your finished drawing is going to look and the steps involved. Below are the individual steps - you can click on each one for a High Resolution printable PDF version. 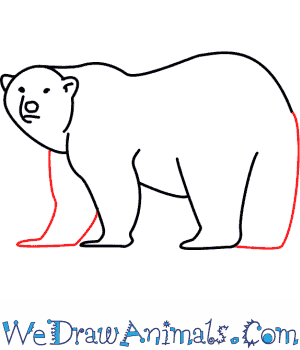 At the bottom you can read some interesting facts about the Polar Bear. Make sure you also check out any of the hundreds of drawing tutorials grouped by category. 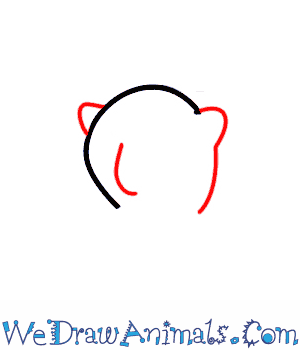 Step 1: Start by drawing a crooked "C" shape for the head. 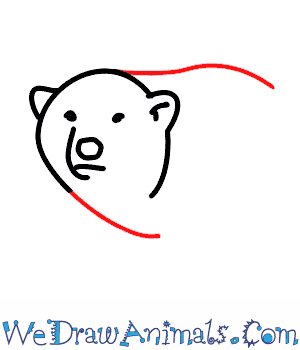 Step 2: At the bottom end of the "C" draw a short, curved line for the snout. 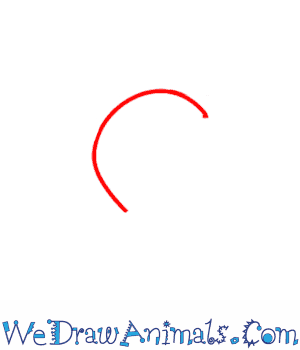 On the outside of the round side of the "C" add a small round ear. At the top of the "C" add another small round ear. Continue that line back down. Step 3: Inside the little snout line a round nose and a straight line for the mouth. Just above the nose draw two tiny eyes. There is a bent line inside the right ear. Step 4: From the top of the head draw a line with a slight bump upwards. Continue the line from the bottom of the head to make the neck. Step 5: Curve the top line down and back up again to make the back line. Make sure to curve it down at the rump. Step 6: At the end of the neck line start to draw the thick strong front leg line slightly diagonally. Continue the line down into a long flat paw. Curve the back of the front leg back up to the same height as you started. Step 7: Continue the belly line at an angle down. Add the first hind leg. It will be the same size as the front leg with another large flat paw. The back line of the hind leg will angle up towards the rump line. Step 8: Finish by adding another front leg just below the head and in front of the first front leg. Add a simple bent line to make the second hind leg. Join this line to the rump. 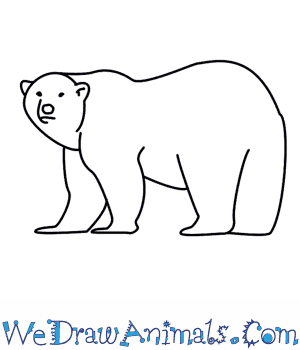 The polar bear belongs to the bear family, Ursidae, which is native to areas of the Arctic Circle. During a period of great glacial movement, a group of brown bears became isolated and it is believed that is when the polar bear emerged. The polar bear is the largest of all bears, with males weighing as much as 1,500 pounds. 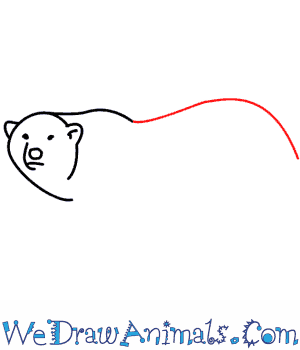 A male polar bear is a “boar” and a “sow” is a female polar bear. 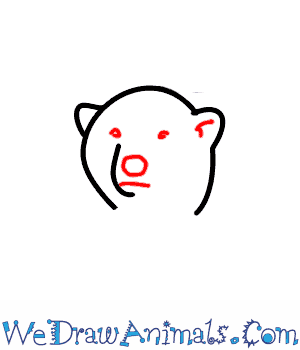 The polar bear is known as a “maritime bear” in the scientific world because they spend most of their time at sea and their main diet is seals. The polar bear can often be found in areas where sea water meets sea ice. Polar bears are insulated from the cold with nearly 4 inches of blubber, hide and fur. Like the brown bear, polar bears are curious scavengers will consume garbage where they come into contact with humans. Polar bears have been long admired, but climate change, pollution, oil and gas development threatens their existence. 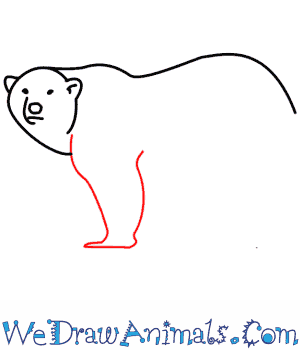 The polar bear became listed as an endangered species in 2008 by the U.S. Department of Interior.